Dr. Kind has been practicing in Johnson City since 1986. After graduating from Palmer College of Chiropractic, Dr. Kind returned to Johnson City and worked an Associate with Dr. Lonnie Jackson for 2 years, before opening his own office. He leads a very active lifestyle and enjoys multiple sports including tennis, biking and any other reason to get outdoors. Dr. Kind loves spending time with his kids Maddie, Kelsey, Kyndal, Palmer, and Bennett. Dr. Kind travels extensively across the United States lecturing on sleep and mattresses to groups of Chiropractors. Together with Dr. Ballard, they started Chiroslumber, LLC, a company which sells clean, cool, comfortable, affordable Chiropractic mattresses. Dr. Ballard graduated from Life University in 2002. Upon completion of his clinical internship in Atlanta, he immediately returned home and began work at Kind Chiropractic. "I enjoyed the experience of living in the big cities of Charlotte and Atlanta but was glad to get back to East Tennessee." Dr. Ballard is married to Connie and has three children, Emily, Drew and Chase. His family is actively involved at their church, The Oaks Fellowship, where he serves on the financial advisory board. When not spending time with his family, Dr. Ballard is an avid motorcyclist and fitness enthusiast. "I consider myself very blessed to be a practicing Chiropractor; I love it! I get to witness patients getting better right before my eyes!" Amanda Crowe joined our office in early 2012. Prior to joining our office, she was the manager at Gymboree. Amanda will be happy to help you make an appointment or answer any other questions that she can help you with. She enjoys time with her mother and spends much of her time taking care of her grandparents. In her free time, it is hard to keep her off of the lake. So, if you have a nice boat, she's the girl to talk to. Julie is a native of our area (which you will notice when she answers the phone) and she has worked off and on for our office since 1989. We can't seem to get rid of her. She has one daughter and enjoys cooking, yard work and shopping. 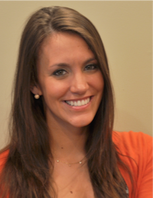 Julie has also worked in various other chiropractic and medical offices, locally and in Atlanta, Georgia. We are happy to have her back and enjoy her refreshing smile and attitude.